A pool hall near the bank has been redecorated to appeal to women. 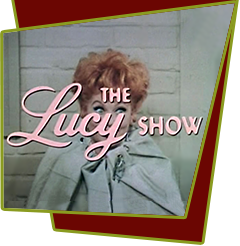 Lucy enters a pool contest there to win the $1,000 prize. Her biggest competition in the women-only pool tournament is a cigar-smoking woman named Laura Winthrop. Laura, however, looks suspiciously like a a pool hustling man named Ace. It seems Ace, is disguised as a woman, because he really needs the money. Special Notes: This episode has been published on several sites and publications as appearing on December 4, 1967 but are incorrect. The DVD set from Paramount including the interviews on the DVD confirm the date as January 8, 1968.